Blip.fm is internet radio made social. It's easy to search for, play, and discover free music recommended by real people. 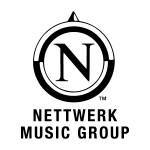 Join today to create your own free station and start listening to @NettwerkMusic. NettwerkMusic #nowplaying @LadytronMusic - Seventeen (@soulwax Remix). Best Of Remixes out this Tuesday! NettwerkMusic #nowplaying @AngusJuliaStone - Yellow Brick Road. Incredible song. Who's with me? NettwerkMusic #mm #nowplaying Mumford And Sons - Wagon Wheel (Old Crow Medicine Show Cover). Great cover from M&S! NettwerkMusic #nowplaying @edwyncollins - Girl Like You via @downtownrecords. This record is so good. NettwerkMusic #nowplaying @AngusJuliaStone - Big Jet Plane (Ily Remix). #remixfriday! NettwerkMusic #nowplaying @wfitzsimmons - The Tide Pulls From The Moon. Perfect song for a cold LA day. NettwerkMusic #nowplaying Dominant Legs – About My Girls. Great song. NettwerkMusic #nowplaying @LadytronMusic - Playgirl (@theerealfdhc Glitz Club Mix) from the Best Of Remixes album out 3/8! NettwerkMusic #nowplaying The Smiths - Girlfriend In A Coma. What? It's after Valentines Day. We can do this. NettwerkMusic #nowplaying @ournameisfun - I Wanna Be The One. What's your favorite Aim & Ignite track? NettwerkMusic #nowplaying @LadytronMusic - Seventeen. What's your favorite Ladytron song? NettwerkMusic #flashbackfriday #nowplaying The Cure - In Between Days. Happy Friday! NettwerkMusic #nowplaying @AngusJuliaStone - Big Jet Plane. Can't get this song out of my head. NettwerkMusic #nowplaying @LadytronMusic - Ace Of Hz. Have you seen the preview for the music video yet? NettwerkMusic #nowplaying @thesubmarines - You, Me & The Bourgeoisie. We may be a bit bias but is this not the best iPhone commercial song to date? NettwerkMusic #mm #nowplaying @TheWeepies - All This Beauty. #happyvalentinesday everyone! NettwerkMusic #mm #nowplaying @SarahMcLachlan - Loving You Is Easy. #happyvalentinesday!